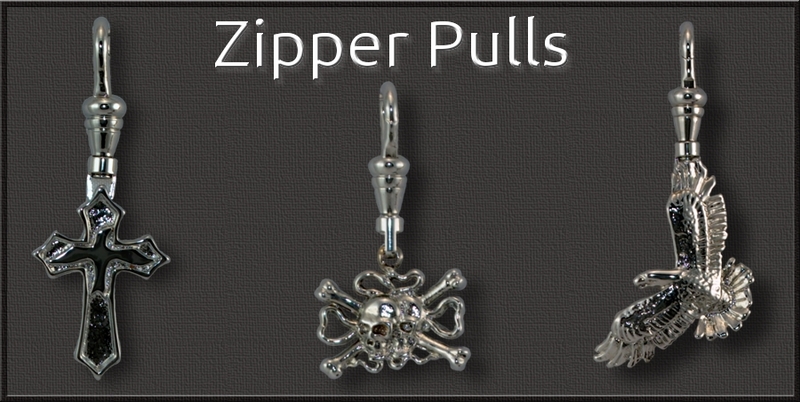 In addition to jewelry, we manufacture hand made zipper pulls, ride bells and bike art emblems. We pride ourselves on creating these with the same attention to detail as our jewelry products, providing the customer with a better looking and longer lasting product. Our zipper pulls stand out from all other zipper pulls with quality that is unmatched, you truly get what you pay for when you purchase a zipper pull from Au Cornerstone! In addition to our Chrome Zipper Pulls, you can find them available in solid sterling silver.